Support M200 Getting started How do I pair my Polar device with the Polar Flow app? 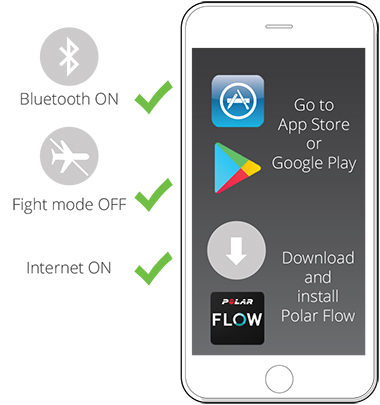 On your mobile device, open the Polar Flow app and sign in with your Polar account. On your Polar device, go to Settings > General settings > Pair and sync > Pair and sync mobile device and press START. Confirm from other device pin xxxxxx is displayed on your Polar device. 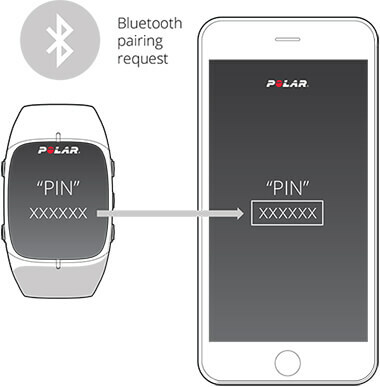 Enter the pin code from the Polar device on the mobile device. The pairing starts. Pairing completed is displayed on your Polar device when you are done. Polar GlobalSupportHow do I pair my Polar device with the Polar Flow app?